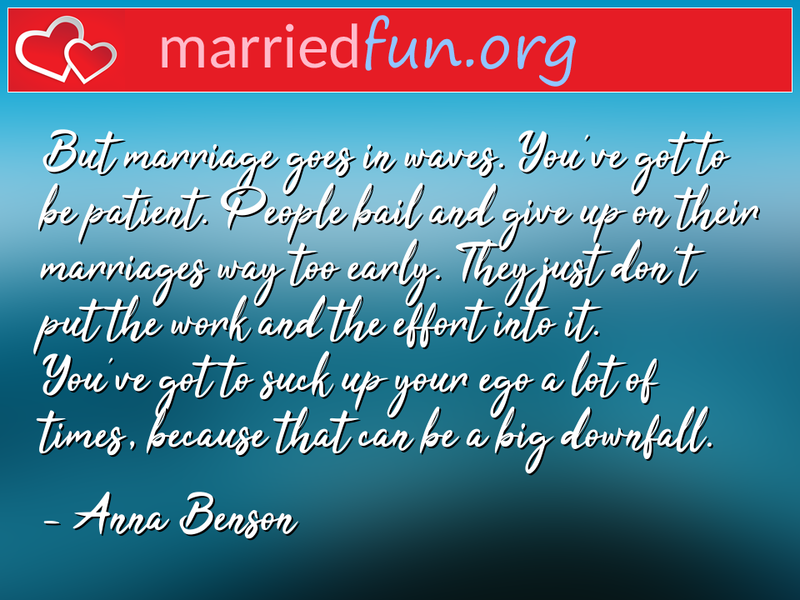 Marriage Quote - But marriage goes in waves. You've got to be patient. ... - Married Fun!